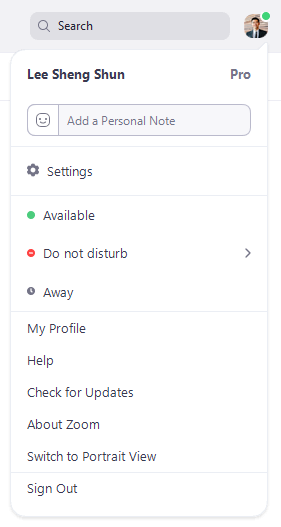 You can specify a personal note that appears at the top of your chat profile to anyone who can see your profile. You can change this text as often as you like and can use it to provide a personal note, a job title, or include more detailed information about your status. Click your profile picture in the top-right corner then click Add a Personal Note. Type the text that you want to display at the top of your profile. The text you type is displayed immediately to all chat users who can view your profile. You can change this text as often as you like.